Food safety inspectors have seized almost half a tonne of unsafe food from a Thai fast-food restaurant in Brussels' pedestrian zone. 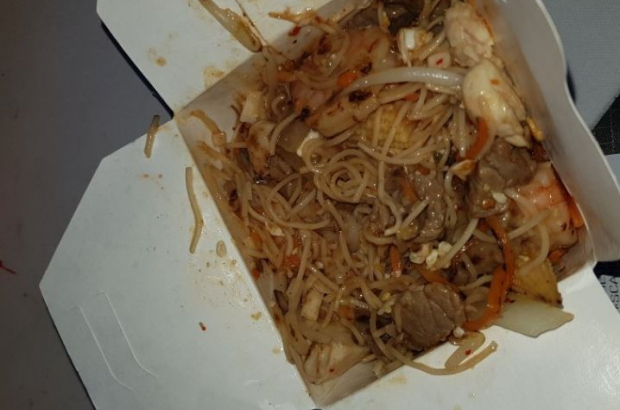 In a spot check at Thai Wok on Boulevard Anspach, inspectors from hygiene service Brulabo found fish, noodles, vegetables and hundreds of litres of sauce that were not fit for human consumption, La Dernière Heure reports. "Their fridges do not work, or work badly," an official told the paper. "They have had this problem since opening but have never fixed it." According to the newspaper, inspectors noted a "relatively poor overall standard of hygiene" - including ingredients with no visible use-by date and no soap at hand washbasins. Brulabo has also raised concerns about 10 kebab shops and a Quick burger restaurant in central Brussels. The city wants to encourage quality food outlets to develop in the new pedestrian zone. But are these places still open for business or have they all been closed until they comply with the required hygiene standards? I have issues with food safety often in Brussels..I am very very careful where I eat now and always carry anti-diarrhea medication with me...I have more problems with food here then when I stayed in Morocco.